There will be a Team Interest Meeting on January 20th at 6:30pm. Everyone 8-17 who is interested in the Edgeworks Climbing Team is invited to attend. For more information call 253-564-4899. Jan 22 - Western WA Univ. Jan 29 - Eastern WA Univ. 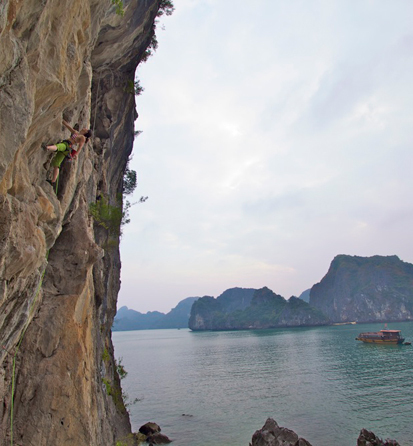 2011 New Year's Resolutions for the Rock Climber: Many people make it a New Year’s resolution to work out more often or join a gym. The gyms are usually packed full for the first couple of months of the year, but then that slowly starts to die down as some lose their stamina. As a rock climber, if we don’t keep up the activity, and throw in some indoor climbing with that exercise routine, it’s almost like starting all over again when spring time rolls around. 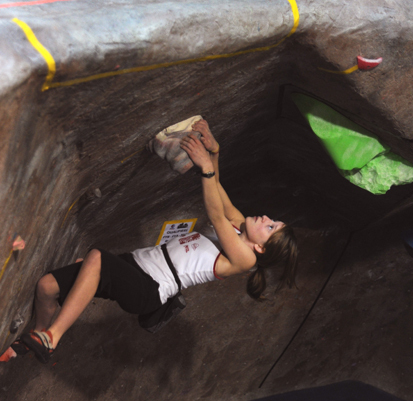 Here are some suggestions when it comes to resolutions for the rock climber to keep that body conditioned for climbing. Get to the indoor climbing gym at least once a week. Some of us don’t get out as often as we’d like during spring, summer, and fall for climbing, but we aim for once a week at minimum outdoors. Although the indoor gym isn’t the same as climbing outdoors, it’s a great alternative to keep practicing and improving your climbing moves during the winter season. If you don’t have anyone to belay you, practice your climbing in the bouldering area. Hang boards can be installed in your homes if you have a room you can do it in. If not, the indoor climbing gyms have these available which is great for training. You can practice on strengthening your finger and forearm strength along with your pull muscles, back and biceps. Also practice dead hangs where you just hang there with your dead weight and keep track of how long you can hang and watch the time increase the more you do it. Become better at Yoga as this will really enhance your abilities in your climbing. It will give you that mental calmness and focus that you need in order to conquer that harder climb you’ve wanted to attack. Your balance, flexibility, core strength, and muscle endurance will also benefit from Yoga which is vital to your rock climbing. Don’t overdo it on the weight training. This will actually do more harm than good when it comes to climbing. If you have too much bulk while you’re climbing this can make it more difficult due to extra weight and decrease in flexibility. If you’re looking more to tone up your body, add more reps to your routine. Usually it’s 8-10 reps for bulk and 12-15 reps for toning. Focus on these resolutions to get your mind, body and strength ready for the outdoor climbing season and remember that it’s also important to rest. As much as you love climbing, your body needs that down time to recover in order to be ready for the next session. Edgeworks Climbing invites you to a slideshow presentation of Audrey Sniezekl's adventures in Vietnam on Friday, January 21st at 7pm. 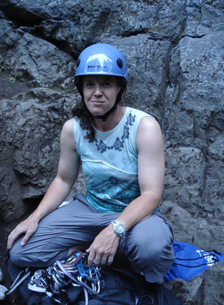 Audrey will be at the gym to narrate the slideshow and raffle off some sweat gear from Metolius, Blur, Sterling and La Sportiva! $5-10 suggested donation. Congratulations to Sara Mattison for winning 1 hour of private coaching! Take the survey here and you might get picked next month! What's your favorite feature of the gym? Lead cave! (Though it's my least favorite feature of the gym while traversing). Who is your favorite setter? Ken, because he uses my route names. Actually, I don't have a favorite setter. Richard and Bobby are currently my nemeses, because they seem to set routes that exploit my weaknesses. Andy often creates excellent thinking routes that seem harder than they are graded until you figure out what's going on in his twisted mind. Jon has set some of my favorite all out fun routes, including a route with the only dyno that I've ever consistently stuck. I love flying through the air like a maniac when I know I'm gonna make the hold. Inside info? Edgeworks sells excellent pita chips, but it is strictly BYOH (bring your own hummus). What’s the vibe like? Like the bar in Cheers. It's always nice to go to a place where everybody knows your name.